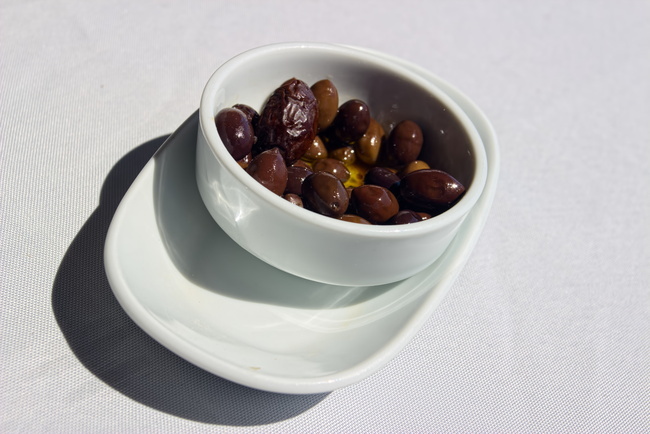 Olives are a mainstay of traditional Greek foods. They underly the very fabric of life in Greece. Throughout the country, the hills are covered in groves of olive trees that, with leaves that are green on top and silver on bottom, shimmer as the breeze blows through them. Olives have been part of the lifeblood of Greece since ancient times. No wonder the author Lawrence Durrel poetically describes their flavor in Prospero's Cell as, "a taste older than meat, older than wine, a taste as old as cold water."